Just to remind you that tonight franco-german channel Arte will broadcast Tina live in Rio 88 followed by a new documentary about Tina’s life. It seems that there won’t be any new Tina interview inside but let’s hope that we will have nice footage! We’ll put it online as soon as possible. 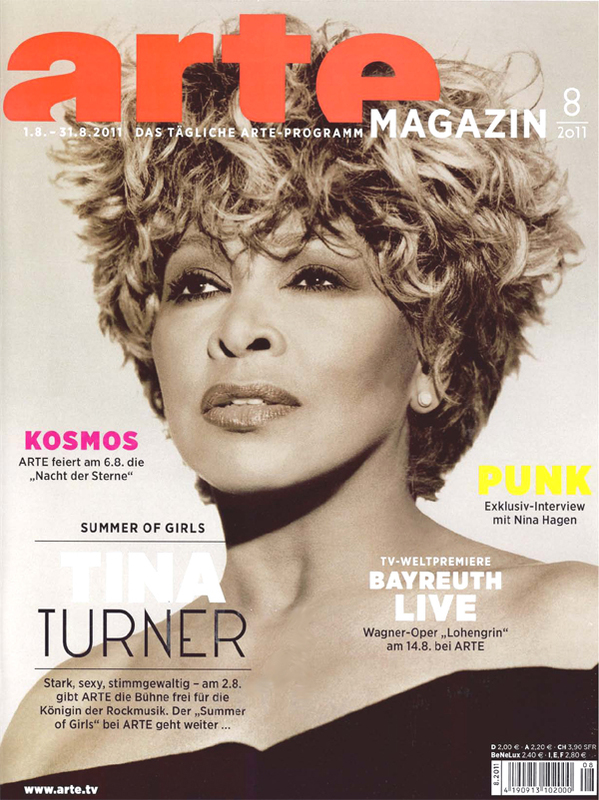 Moreover, Tina is on the cover of the August issue of Arte Magazine. 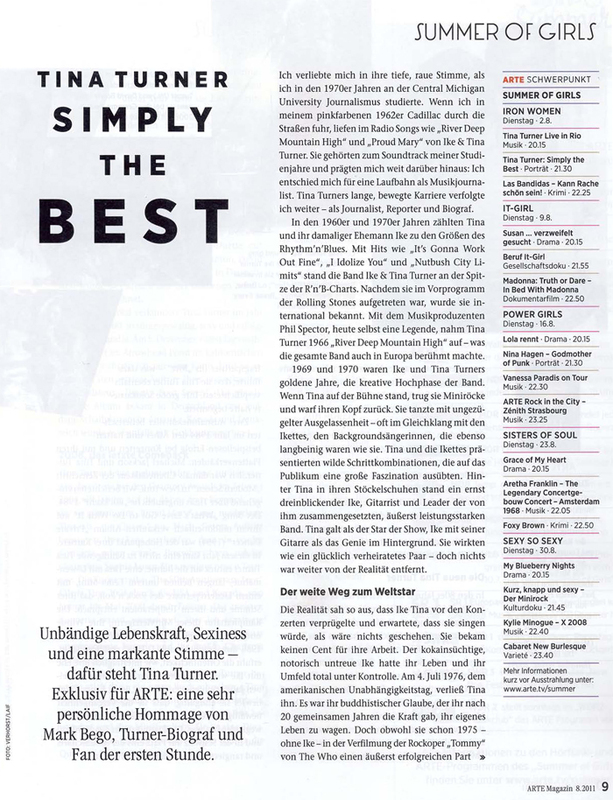 See inside the post for scans of the magazine and thanks to Anja for sending us copies! GRACIAS POR EL INFORME!!! NO SE SI EN MI PAÍS, LO PASAN!!! ESTARÉ ATENTA!!! HERMOSA LA PORTADA!! !